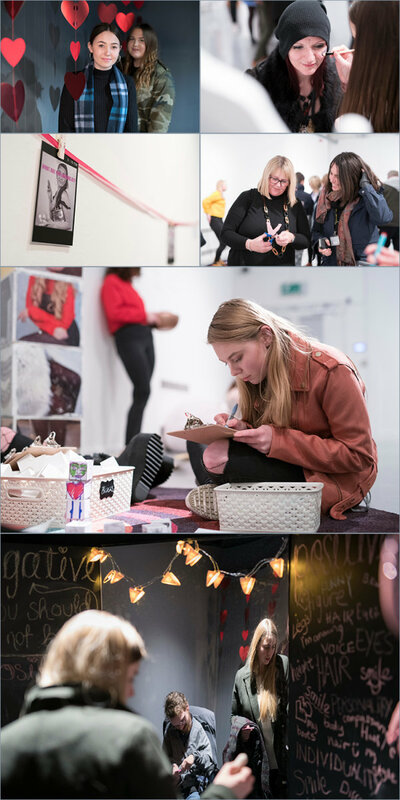 The two-day event was a live art presentation of young people’s perspective of class and gender identity, developed through a process of creative workshops with artist Kelly Green (Anglia Ruskin University) and students from Astor College, Dover. The work builds on collaborative research between David Bates (Canterbury Christ Church University) and Licia Cianetti (Royal Holloway, University of London), which deals with different aspects of the process of ‘othering’. This project considers especially how contemporary forms of media - internet, TV and the tabloid press - construct marginalised groups as immoral subjects, as objects of derision and disgust. The photography I covered on the Friday evening will be used to promote the event and also for future use when the exhibition moves to the Tate Modern in May this year.